Thank you for registering your interest in Vimma. We believe the future of advertisement will be in the hands of regular consumers. Already today, user generated content works 11x better than regular ads, as consumers are getting blind to digital display ads. This is why we created Vimma - advertisement platform that leverages the influence of consumers. The company is founded by 2 experienced founders: Outi, CEO, a seasoned marketer, took her previous B2C startup to market solely with online influencers and social media. Mykhailo, CTO, worked the past 2 years with his previous startup Brolly, an AI assisted insuretech app. 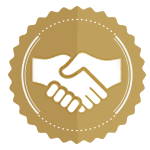 We have a working product, paying customers and our first technical hires lined up. Our technology scans through masses of social media profiles, identifies the valuable content with AI and leverages it for brands programmatically. With our software, companies can create ads that are organic and engaging to the consumers in just few clicks. See a short demo of the software here: https://vimeo.com/311492417. In the future, we will be the go-to place for companies to purchase user generated advertisement. Our plan is to start with a high-performance social advertisement application, but eventually, we will own the cross-platform data on user generated ad conversion, spend and engagement. Companies spend 230 billion dollars every year on digital advertisement that none of us consumers want to see. Everyone knows that people are mainly interested in interesting content and their friends online - not in products or companies. 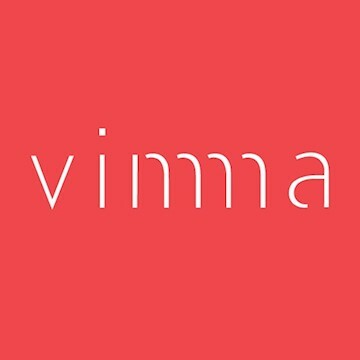 Vimma solves the problem of "ad-fatique" by leveraging people to talk about products and services that interest them. With help of artificial intelligence, our technology scans through masses of social media content, finds the most advertiseable consumer generated posts and uses them as high-performance ads that actually interest consumers. Our initial pilots show 10x conversion rates compared to traditional social advertisement. We charge a monthly SaaS subscription to our software, as well as 10% commission of all marketing budgets for campaigns created on the platform.